Corning, the makers of the popular Gorilla Glass will be in Vegas next week at the Consumer Electronic Show to show off Gorilla Glass 2. So what can we expect from the company that already has some of the most scratch-resistant glass around? According to the presser, we could be looking at a thinner design which no one would ever argue with. Gorilla Glass is one of those things that people just love, because we know it works and also brings us a sense of security. You can drop it, bend it, try to scratch it, and it just keeps looking fantastic (for the most part). It was featured on our dear Motorola “OG” DROID and countless other products we love over the last couple of years. As manufacturers continue to pump out thinner and thinner handsets, it is good to know that companies such as Corning are meeting the demands of consumers. 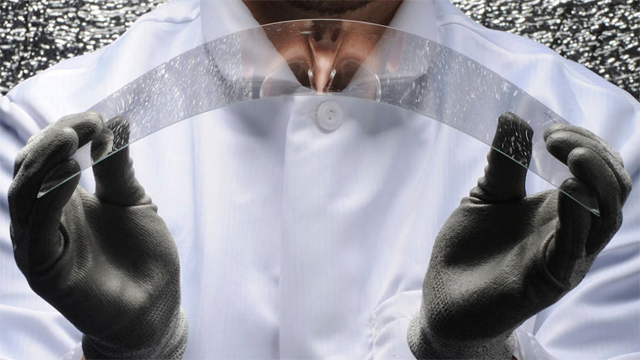 Here’s hoping Corning blows us away with Gorilla Glass 2. And you can bet that the DL staff will be at their booth when they show it off.